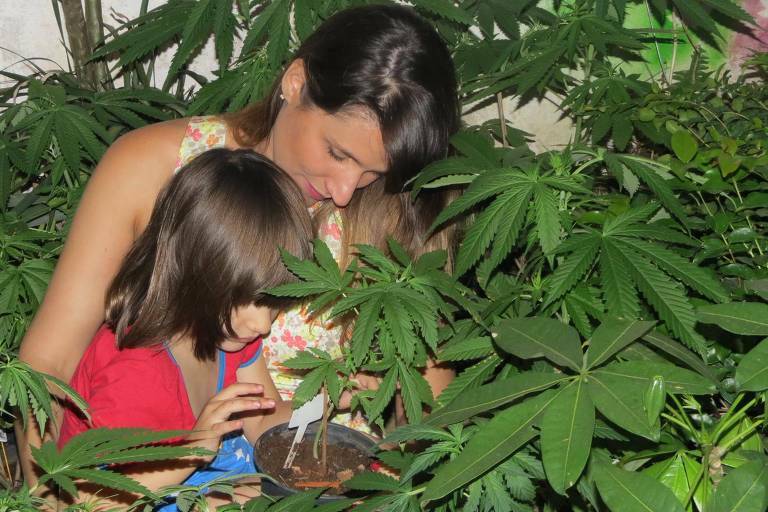 After being denounced for cultivating a marijuana plant at home and go through a police inquiry, civil servant Ângela (last name withheld), 39, from Campinas (SP), obtained a court authorization to keep the plant and extract cannabidiol oil (known as CBD) to treat her daughter, a six-year-old girl diagnosed with autism. A public defendant took over the case, and the decision in the particular court level is unprecedented and might open a legal precedent. The authorization will last one year. There are at least 20 families growing marijuana at home for medical purposes, legally protected by injunctions or trial court decisions. Countless others do it illegally, behind closed doors. "Many parents don't dare to request legal permission. Because when you do it, you expose yourself, you acknowledge you are growing it. That way, many prefer to do it informally, but then they run the risk of being reported to the police," said public defendant Daniela Skromov, who works with rights of people with disabilities. Ângela had already requested court authorization last September, but the request was denied under the argument that Anvisa (Brazil's version of the FDA) needed to be involved and a habeas corpus petition wasn't the most appropriate proceeding for this kind of request. During the appeal, the public defendant argued that the Brazilian Drug act grants a legal pathway to allow the artisanal cultivation of an illegal plant for scientific or medical purposes. But, although Anvisa regulated imports of CBD products in 2016, there are no rules for cultivation. Since 2016, there were 5,000 authorizations to import CBD products, which resulted in 80,000 items brought from abroad, prescribed by 800 physicians.